MP Hotels has announced the inauguration of their newest hotel property to be on June 25th: Seya Beach Hotel. This is the second hotel to be launched under their recently launched Design Plus brand. This exciting and beautiful hotel aims to become one of the most in vogue establishments of the charming beach town of Alaçati, Turkey. Munich, Germany – MP Hotels is proud to announce the June 25, 2018 opening of Seya Beach Hotel; a design centric and modern high-end hotel, aimed at travelers in search of cosmopolitan type lodging in Turkey’s storybook coastal town of Alaçati. A town known for its attractive stone architecture, notable windmills, verdant vineyards and fantastic surf scene. The 190-room Seya Beach Hotel is the second unveiled property of MP hotels distinctive Design Plus brand. 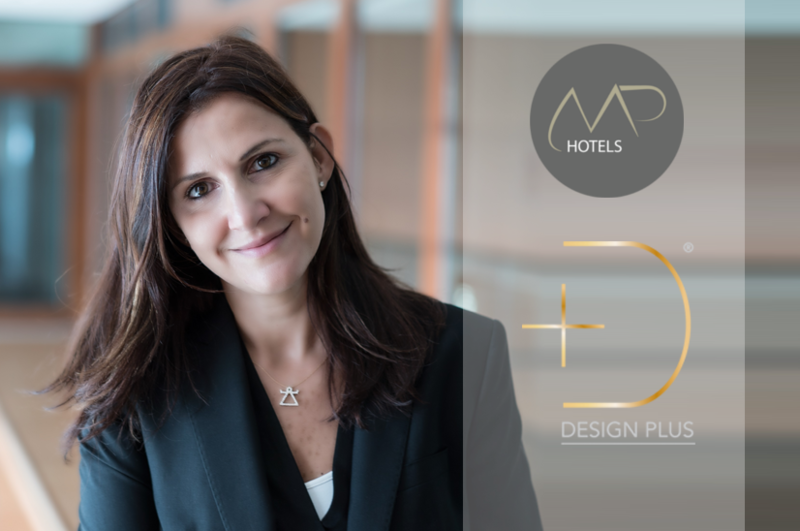 Last January, MP Hotels showcased their Design Plus hotel brand during Spain’s FITUR 2018 conference. The announcement was done in conjunction with their first Design Plus property, Hotel BEX in Las Palmas, Canary Islands, Spain. All hotels under the Design Plus collection house upper end restaurants, and bars whose sole purpose is to cosset guests with local and international cuisines, as well as with signature drinks. Unrestrained, and yet sustainable, Design Plus hotels are built into the fabric of their respective cities or coastal towns. Places that are as much part of your visit as the destination. That stand as a physical example of what guests value, and want from life. From the use of earth-conscious building materials, hand-crafted organic food and modish designs, to the kind of overall uniqueness attained through constant innovation. Seya Beach Hotel features all of these concepts in its own unique fashion. For starters, its building takes direct inspiration from the stoned structures of Alaçati. While the color tones of the various rooms, of which most are sea view, honor the palette of Alaçati and its natural surroundings. Food is also an important feature of Seya Beach Hotel, and it houses various mouthwatering restaurants with several cuisines to choose from. These include Turkish, Italian, Mediterranean and Far East cuisines. The hotel also boasts a private beach, swimming pool, spa center and exciting onsite bars. The hotel’s Seya Beach Club hosts a DJ, and provides guests with the ability to dance the day and night away in an attractive and happening scene. MP Hotels will continue to rollout more Design Plus properties in the near future. The company has yet to release details as to the next chosen location. However, with the impressive growing pace of MP Hotels, it will most likely be sooner rather than later. Founded by FTI Group in September 2015, Meeting Point Hotels is an international hospitality company with a portfolio of five brands comprising more than 60 properties with more than 14,000 rooms, in 9 countries and 4 continents. The company’s portfolio includes LABRANDA Hotels & Resorts with its five sub brands that include select, comfort, balance, family star and city, Design Plus Hotels, Kairaba Hotels & Resorts, Clubs Plus Hotels & Resorts and Lemon & Soul hotels. Located in sunny destinations, by the beach or in close proximity to the beach, Meeting Point Hotels is dedicated to serve guests hospitality with a smile and deliver authentic experiences with a local flair. Whether couples, singles, families or friends from sun-seekers, sports fans, culturally interested or just enjoying the local cuisine, Meeting Point Hotels has the right choice for everyone. Visit us on MPHotels.com, connect with us on Facebook and Instagram.